2017 Corey LaJoie #83 BUBBA burger / Toyota Camry NASCAR 1/64 diecast, by Action. 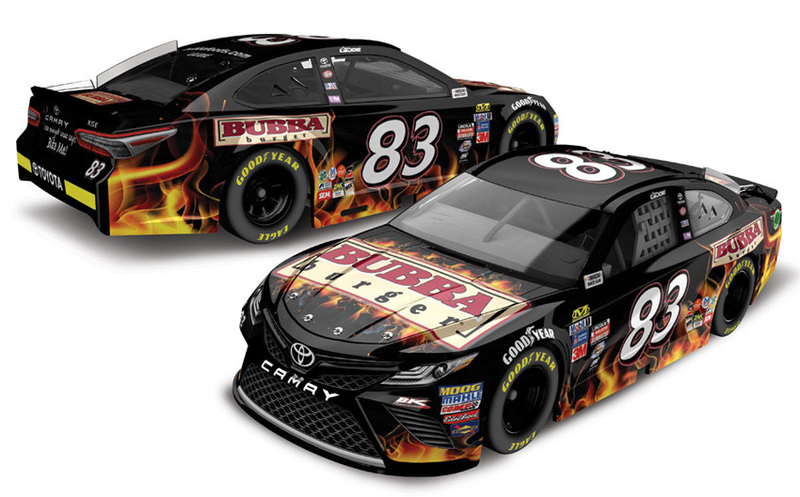 The BK Racing #83 BUBBA burger Toyota was raced by Corey LaJoie in select events during the 2017 Monster Energy NASCAR Cup season. 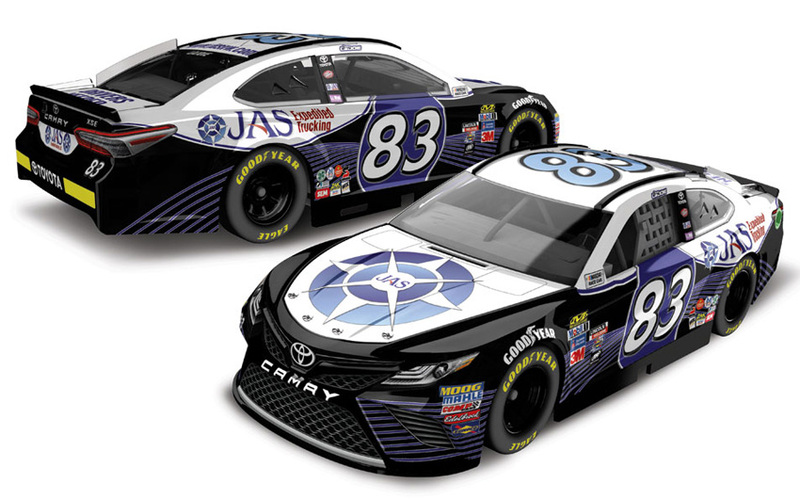 2017 Corey LaJoie #83 JAS Expedited Trucking / Toyota Camry NASCAR diecast, by Action. 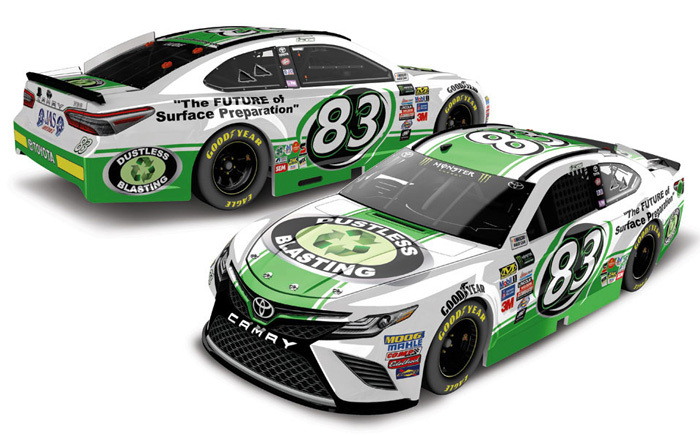 The BK Racing #83 JAS Expedited Trucking Toyota was raced by Corey LaJoie in both the Spring and Fall Monster Energy NASCAR Cup races at Michigan International Speedway in 2017. 2017 Corey LaJoie #23 Dr Pepper / Darlington / Toyota Camry NASCAR diecast, by Action. 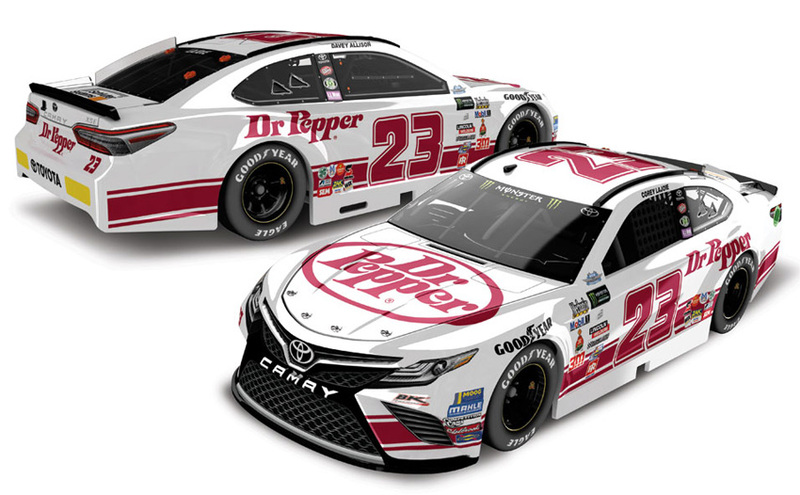 The BK Racing #23 Dr Pepper Toyota was raced by Corey LaJoie in the Monster Energy NASCAR Cup, Bojangles' Southern 500 at Darlington Raceway on September 3, 2017. This design was inspired by one of Davey Allison's most famous rides, the 1984-1985 car he raced for his Dad's team, Bobby Allison Racing. This diecast car will not have the Monster Energy decal on the windshield.